BoI Icebreaker Winners: No gloves, no problem! Bryce Imms, fishing aboard Mazara, landed and weighed the large blue marlin, thefirst and winning fish for the Icebreaker Tournament, and the first for the new boat skippered by Bevan Beauchamp. The fish put on quite a display. 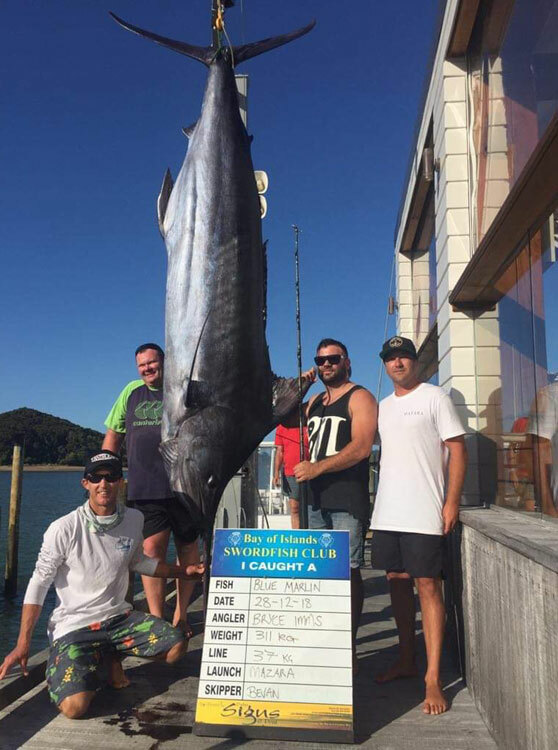 We were all joking around, but when Bevan saw just how big it was he told us we had to get serious”, says angler Bryce Imms. From there on in, it was all hands on deck, getting ready to tackle their big fish. Unfortunately, it wasn’t all smooth sailing for the team aboard Mazara. Being a new boat, it wasn’t until the last minute that the crew realised they were missing a few key pieces of equipment, including a set of tracing gloves. With the fish nearing the boat, wireman Shannon Imms fashioned a pair of make-shift gloves from t-shirts and duct tape, to take on the big fish. 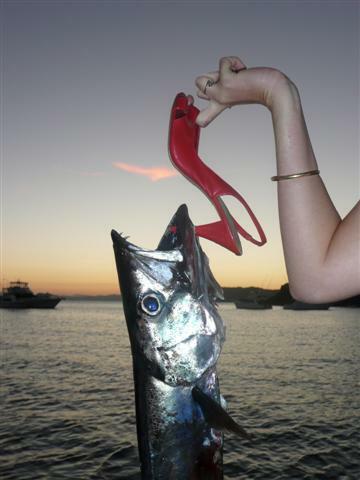 Caught on 37kg line, and on a Hawaiian-made lure, the fish was the only marlin weighed for the competition, giving the team top honours in the billfish category.